Winter of 2009-2010 has been the coldest winter resulting in the most delayed bud break in the eleven years we have grow grapes on the Dahlonega Plateau. As I indicated in my February 2010 Notes this can be “good” or “bad” depending how the cold has affected the vines. I am relieved to report I see only the good results so far this spring of this very cold winter. In fact the condition of the vines this spring reminds me of the early years in establishing the vineyard. Perhaps the cold took its toll on the lingering fungal diseases and bad insects over-wintering in the vineyard. The vines appear “relieved” from such diseases and insects allowing their full expression of renewal this spring! As I write these Notes the vine are completing their flower/fruit set development stage with good results. We have experienced very manageable amounts of rain and substantial amounts of sun with below normal temperatures. All good signs. For those of you who have recently seen our tasting room site in Helen you should have noticed our progress. We have cleared trees from this very steep inclined property and commenced constructing our tasting room. We are using all trees cleared from the site either in the form of posts and beams to be incorporated in the Helen Tasting Room or processed into fire wood which we use extensively to combat Spring frosts. A lot of cut timber has been placed on the vineyard property waiting for processing at a later date. My plans were to plant the native American Norton vines at the Helen vineyard. Norton vines are much easier to grow and maintain than vinifera (the premium grape vine variety grown principally at the Dahlonega vineyard). What benefits Norton delivers in the vineyard is “taken back” in the winery, as Norton wines are more difficult to make into premium Frogtown wines. I have chosen the Italian varieties Teroldego, Greco di Tufo, and Vernaccia for planting in Helen. We also decided to plant in a portion of the remaining available area at the Dahlonega vineyard a very small trial of the noble Italian red grape Nebbiolo. Oh yes, this means Frogtown is now growing 25 different wine grape varieties. Teroldego is a very deep colored red wine grape grown in the Italian region known for growing Pinot Gris. Teroldego wines somewhat resemble Zinfandel wines with less spice. Creco di Tufo and Vernaccia are Italian white wine grapes that make rather full-bodied wines. I am excited to plant additional white wine grapes that can be made into full round white wines. Nebbiolo is the red wine grape grown in the Piedmont region of Italy. I have only planted a small amount of Nebbiolo due to its wide-spread reputation of being very difficult to grow in other regions of Italy, let alone in “new-world” wine growing regions. I will keep y’all posted on our experience with these grapes. We are probably four years away from selling any wines made from these grapes. Gold in San Diego and Finger Lakes Wine Competitions. Frogtown enjoyed wonderful results from its first two wine competitions of 2010. We submitted nine wines to the Finger Lakes Competition (a major competition with over seventy percent of the competition wines coming from California). We received medals for ALL wines submitted; a nine for nine batting average (one Gold, four Silver, and four Bonze medals). THE MOST NOTABLE AWARDED WINE WAS OUR 2008 VINEAUX BLANC WHICH RECEIVED A GOLD MEDAL AT FINGER LAKES. We entered this year’s San Diego International Wine Competition for the first time. We are most pleased to announce that our Shotgun, First Reload, received a GOLD Medal and our 2006 Tannat received a SILVER Medal at this competition!!! Receiving a gold medal at a California competition for an East Coast red wine is most gratifying and speaks volumes for the ability to ripen red wine grapes at our Dahlonega vineyard. We are including in this shipment to red only and red and white Citizens a bottle of the award-winning Shotgun. On-line access for our Citizens. We are aware that some Citizens have had difficulty establishing and logging on to the Frogtown web site. Here’s how to use our website www.frogtownwine.com. You can use our website to update your Citizens information, to order wine or to view our Calendar of Events. To log in to your account, visit “Shop” on the home page at the end of the red banner. There is a box on the lower right hand side that says: “WINE CLUB LOGIN”. Go down to where it says Secure Login and click there. Now you will need to login. Log in using your Citizens number. If you don’t know your Citizens number you can use the box entitled HELP on the left to recover your information or you can email Cydney at [email protected] and she will send it to you. You will then be logged in to the secure wine shop where you can modify your profile, view your previous orders and order wine OF COURSE!!! To check on upcoming events click on “Calendar” in the red banner. You can view all upcoming events. Note that when Outdoor Tasting Room Open is posted, that means the main Winery is closed for a private event, but the outdoor patio tasting room is open. If you are picking up a wine club shipment on one of those days, just come to the side door to the right of the building and we will help you. As Citizens, please make sure to check our calendar, from time to time, for events specifically intended for Citizens. Bastille Day is coming up in July (we celebrate Bastille Day (July 14th) on a day closest to the actual date. This year we will celebrate you, our Citizens, on Sunday, July 11th with a Brunch followed by barrel tastings for those Citizen’s attending Brunch. On September 11th we are offering a very special event to our Citizens. For those Citizens attending the Harvest Dinner on Saturday, 9/11, we are offering Experience Harvest with Craig. Over the years many of you have inquired about observing a harvest at Frogtown. This is now your opportunity to pick grapes and see the harvested grapes being processed. If sufficient tonnage is harvested, I also plan on offering this wine made from these grapes exclusively to our Citizens on a “future offer basis” which shall also be specially labeled commemorating the inaugural “Experience Harvest with Craig Event.” I will sign all bottles. Please give us your commitment to attend this harvest event as early as possible. Depending upon your response, we may need to limit the number of Citizens attending. This is a Citizens only event, so please understand we cannot accept non-Citizens at the Harvest, but the Harvest Dinner will be open to non-Citizens, again depending upon your response to this event. It is most important to Cydney and me that no Citizen is hurt during this event. Harvesting grapes is not without risk. Walking over uneven ground, cuts, insect stings and bites are a few ways a person harvesting grapes can get hurt. We will make special accommodations for those of you who do not want to experience harvest to its fullest extent but still desire to observe the harvesting of grapes and wine making. Copies of all Notes from the Winemaker. Sometimes Citizens pick-up their Wine Club shipments without receiving a copy of my current Notes from the Winemaker. Like all authors, I think a lot about what I write and do not want any Citizen (heaven forbid) missing the opportunity of reading my Notes. Soon you will be able to access present and past Notes from the Winemaker by clicking on a separate button on our web site! 2006 FROGTOWN FAMILY RESERVE MERLOT. Wow, only the SECOND FAMILY RESERVE from the first six Frogtown vintages! This is a BIG Merlot with loads of black (blackberry, blueberry, and cassis) fruit, uniquely found in Frogtown Merlot, coupled with hints of chocolate and tobacco. This Merlot is a wonderful example of our wine-making style of mouth feel with supple, yet firm, complex tannin structure. While very drinkable now, this wine will improve in the bottle over the next year and deliver fresh Frogtown Merlot flavors and mouth feel for many years thereafter – $48.99 bottle. FROGTOWN SHOTGUN, FIRST RELOAD. A two-vintage blend of 2005 and 2006Tannat (40%), 2006 Cabernet Franc (20%), and 2006 Touriga National (40%), Shotgun is a BIG, bold, yet supple, red wine. Bright fruity flavors develop on the pallet to an intense, chewy ripe finish, making this wine both age-worthy and enjoyable now. GOLD MEDAL WINNER AT THE SAN DIEGO INTERNATIONAL WINE COMPETITION – $24.95 per bottle.  2008 FROGTOWN VINEAUX BLANC – $14.99 per bottle. Seyval Blanc and Viognier are fermented in Steel and Oak barrels. This bright crisp white wine is a refreshing combination of pineapple, citrus with a touch of toast. A small portion of the wine is put through malolatic fermentation. As state above, winner of a GOLD medal at this year’s Finger Lakes Wine Competition! 2006 FROGTOWN INCLINATION – $18.99 per bottle. Chardonnay, Viognier, and Vidal are fermented in French oak barrels to deliver ripe flavors of citrus, apple and toast. This very distinctive full-bodied white wine blend is only made by Frogtown and enjoys the recognition as one our most awarded and best-selling white wines. 2008 FROGTOWN VIOGNIER – $24.99 per bottle. Our 100% Viognier is a rich, luxurious white wine. Frogtown takes much care and pride in growing classic Viognier grapes which impart flavors of flowers, honey, peach, melon, and kiwi fruit integrated in a well-balanced full-bodied white wine that is wonderful with fresh fruits, cheese, and spicy foods. A perfect wine to pair with sushi. It has been a very cold, cold, winter. Frogtown is experiencing the coldest winter in the eleven years of grape growing on the Dahlonega Plateau. If the temperature does not get lower than 10 Degrees Fahrenheit, it would be unusual to have material bud necrosis or vine death. We had a few days when the temperature was less than 10 Degrees in the early morning. As the morning progressed, the temperature rose into the 20’s or 30’s. This pattern of single digit to rising temperatures should not cause a problem. As we prune, we are examining the buds to determine if any necrosis is present. Only after the vines bud out in late March or early April will we know for sure if we escaped material cold weather damage this winter. On the positive side, the cold temperatures also kill lingering fungus, bacteria, viruses, and harmful insects (their lava or grubs). Pruning is almost complete as I write these Notes. We are a few weeks away from breaking ground on Frogtown’s Helen Georgia Tasting Room. Cydney and I are excited about the expansion or our North Georgia wine tasting activities. We have designed the outside of this tasting room to resemble the single pitched roofs over the winery portion of our Dahlonega facility. The Tasting Room will be built into a hill on the property and have the appearance of a wine cave in the interior. The Helen Tasting Room will be another Frogtown facility incorporating interesting architectural features in a modern motif with a sprinkling of antique furniture and rugs. 2009 Vintage Wines. I continue to be very pleased with the wines from our 2009 harvest. As many of you know from our conversations at the winery, I made a farming decision to reduce by 50% the fruit on our vines by cutting clusters off the vines to the ground early in the 2009 growing season. This decision proved to be “just what the vintage required,” as 90% of our grapes ripened and were harvested before September 16, 2009. From the 16th through the 25th of September, we experienced 22 inches of rain in a non-stop downpour. The September 16th to the 25th period is usually when we harvest a large portion of our red fruit! While the 2009 harvest came up almost 50 tons shy, we will trade quality for tonnage (quantity) all the time. Look for a wonderful and powerful 2009 Sangiovese. I am contemplating putting this Sangiovese in a Reserve bottle to sell for around $25.00. It is the best Sangiovese we ever harvested at Frogtown! Unless we make a dessert wine, all Frogtown labeled wines are fermented completely dry. This fermentation protocol is the law in the Bordeaux Region of France. Violating this protocol will result in the loss of the privilege of making wine in this Region of France. In 2004, we made our first Cachet wine. Cachet is made from 100% Vidal grapes. Vidal is the “ice wine” grape grown in Ontario, Canada, and the Finger Lakes region of New York. The federal labeling rules require a wine producer to state in its label approval application that the grapes froze on the vine in order to qualify for labeling a wine an ice wine. I believe hell would freeze before a Georgia producer could harvest frozen grapes in Georgia that have not been spoiled by rot. Since Frogtown believes in absolute truth in labeling, Cachet is not referred to as an “ice wine” on its label. We make Cachet as if it were an ice wine by a freezing process employed after the grapes are harvested. This after harvest freezing process serves the same function of harvesting the frozen grapes (i.e. the concentration of sugars and flavors). I had thought extensively about producing a red dessert wine in an “ice wine” style. In 2008, we put Tannat grapes through fermentation protocols enabling the concentration of sugars and flavors in a manner similar to the protocols we use with our Vidal grapes in creating Cachet. I was very satisfied with the results. The 2008 Grandeur, the federally trademarked name we gave to this wine, has been extremely well-received. While the process is long and painful, this red dessert wine delivers a most satisfying dessert wine experience. Like all premium dessert wines, Grandeur is sweet on the beginning and mid pallet, with a remarkable dry wine finish. Frogtown Grandeur is value priced at $22.99 for a 375ml bottle of dessert wine. See the description below for more information on how Frogtown Grandeur is made. 2006 Frogtown Touché. We are giving our Citizens a “sneak preview” of the 2006 Touché. We still have about 30 cases of the gold medal winning 2005 Touché to sell before we release the 2006 Touché. We are in no hurry to release the 2006 vintage of Touché. With the exception of the 2006 Touché, all Frogtown 2006 reds have been released. All of the ultra premium 2006 reds (Family Reserve Merlot, Cabernet Franc, Cabernet Sauvignon, Tannat, and Touché), were cellared for at least 30 months in a combination of new and used oak. 2006 Frogtown Tannat. Like all the respective 2006 premium Frogtown red wines, this 2006 Tannat is at the top of all the previous Frogtown vintages. I believe this vintage of our special varietal Tannat wine rivals the wonderful 2002 introductory vintage of this Southwestern regional French grape. Huge earthy black fruit with black pepper spice accents delivers an “in your face meat-taming wine” that has made Frogtown Tannat a favorite red wine of our Frogafiles. Retail price – $29.99 per bottle. 2008 Frogtown Grandeur. Unless an “all red” Citizen responded to Cydney’s e-mail and directed us to ship a red dry wine, an all red Citizen is receiving with this shipment the inaugural 2008 Frogtown Grandeur. This wine is made from 100% Tannat Grapes which were crushed and cold soaked for one month before pressed off and frozen for three more months in stainless steel and then slowly fermented at 50 Degrees. We started with 4,000 liters of juice and skins, only to end up with less than 2,000 liters of concentrated juice when we started fermentation. The Brix level went from 23.8 to 28.3 during the period of freezing concentration of the juice. This red dessert wine is wonderfully sweet with a dry finish on the pallet. Enjoy room temperature with soft artisan cheeses or with dark chocolate. Retail price for this 375ml bottle is $22.99. 2008 FROGTOWN CHARDONNAY is the BEST Chardonnay Frogtown has produced to date according to Jordan Fiorentini, former Frogtown Winemaker and now Director of Winemaking at the Sonoma County, California, Chalk Hill Winery (and the mother of our granddaughter, Morgane). Fermented in 100% new oak (70% French and 30% tight grain North Central American) this Chardonnay is complex, rich and layered. The front pallet and nose consists of citrus flavors with hints of apple and pear. The mid pallet adds soft nuances of melon and fig and well integrated rich creamy oak flavors. This great Chardonnay has a long round supple finish with clinging acidity that adds to the enjoyment of chicken, fish, cheese, pasta, and salad pairings. Retail Price – $24.99. 2008 Frogtown Steel Chardonnay was fermented at 50 degrees in stainless steel (never saw the inside of an oak barrel) for three months. This crisp, acid-rich Chardonnay has citrus flavors complementing a green apple nose and finish. This wine, like French Chablis, is remarkably rich and round notwithstanding the absence of oak aging. Frogtown Steel Chardonnay is especially food friendly. Retail Price – $19.99. 2006 Frogtown Cachet won a gold medal at the 2009 Jefferson Cup competition. The 2006 Frogtown Cachet is Frogtown’s premium dessert wine made in the style of an ice wine from Frogtown Vidal grapes. Cachet is a classic dessert wine with the presence of residual sugar in the front of the pallet and a relatively dry finish without a syrupy aftertaste. Enjoy this wine, very cold, with soft and flavorful artisan cheeses or dark chocolate. We are enclosing with these Notes the Frogtown Calendar for 2010. Look over the dates and events carefully. There are a number of events PLANNED SOLELY FOR OUR CITIZENS. I will provide additional information in my Notes accompanying the May 2010, shipment on (i) the July 10th Bastille Day Celebration providing barrel tastings and other cellar activities for Frogtown Citizens attending the Viva La Frogtown Dinner and (ii) the Harvest Experience with Craig for Frogtown Citizens attending the Harvest Dinner on September 11, 2010. This is the time of the year Frogtown begins the process of pruning all 22,000 grape vines. Like many aspects in viticulture and winemaking, pruning is as much an art as it is a science. I would personally miss the opportunity to stand before a vine and make decisions on what is the best pruning strategy for the vine for the coming year. Frogtown is blessed to have very skilled vineyard workers to accomplish this pruning task which will extend from December, 2009, to March, 2010. Over ninety-five (95%) percent of the growth during 2009 will be eliminated by pruning all shoots to two buds. The quantity of fruit at bud break 2010 directly relates to the amount of sun andweather patterns experienced in 2009. While there was sufficient sun in 2009, the quantity of rain at the vineyard was more that twice the rain received in 2003, the next most rainy vintage. Only at bud break (late March or early April) will we know whether or not 2009’s rains will be a factor in the fruitfulness of the vines in 2010. Introduction of 2008 Audacity and the Sangiovese grape. We are including with this shipment a bottle of Frogtown 2008 Audacity. This wine is a blend of 55% Sangiovese and 45% Cabernet Sauvignon. We have grown Sangiovese from the commencement of the vineyard. It is an extremely difficult grape to grow in our humid environment. I probably spend more time on growing Sangiovese than any of Frogtown’s 21 different grape varieties. Frogtown planted the Di Grosso clone of Sangiovese; the same clone grown in the Montalcino area of Tuscany where the long-lived Brunello di Montalcino wines are produced. The Di Grosso clone is the largest of the Sangiovese clones with very thin skins. The size of this grape coupled with its thin skins makes the grape very susceptible to disease. Also, the higher ratio of juice and pulp to skin we experience with Sangiovese makes it a challenge to get good color in our Sangiovese based wines. Notwithstanding the above, I have learned to deal with these negative viticultural attributes of Sangiovese and during the last five years delivered very good to excellent Sangiovese grapes to our winery. In fact, 2009 is the best Sangiovese grapes we have ever harvested at Frogtown. If the 2009 Sangiovese wine develops well in the cellar over the next 18 to 24 months, we plan on bottling a special 2009 Family Reserve Sangiovese which will sell for around $25.00 a bottle. I have been told by a number of people that Frogtown Sangiovese wines deliver more of the classic Tuscan flavors and texture than many of the California Sangiovese labeled wines, including, in most vintages, the Atlas Peak Sangiovese. Atlas Peak is owned by the famous Tuscan Antinori family. The influence of the Antinori family to the wines of Tuscany is like comparing the influence of the Mondavi family to wines of California. Some of the most wonderful Chianti and Super Tuscan wines I have ever had the pleasure to taste were made by the Antinori family. Our daughter, Jordan (Director of Winemaking at Chalk Hill, Sonoma County) was selected, upon her graduation from UC Davis, to intern at Antinori in Tuscany. It is my belief that Sangiovese “needs” more humidity than available in California to develop complexity and the classic bright cherry/black cherry earthy flavors in classic Sangiovese. The cloudy and rainy days we experience, from time to time, during the growing season in Northeast Georgia, gives our Sangiovese grapes “time-off” from the summer sun and heat. Many of the viticultural areas in California where Sangiovese is grown may produce excessive sun and heat during the day preventing Sangiovese grapes from developing these classic earthly cherry flavors. With the sole exception of 2003, when no Frogtown red fruit was bottled under a Frogtown label (I created our second label, Thirteenth Colony, as a “home” for our 2003 red fruit), Frogtown has made a varietal Sangiovese in each of its first six released vintages. Our Audacity wine was “born” during the wonderful 2008 harvest. As our Sangiovese grapes were being harvested, I decided to make a “Super Tuscan” style wine from our premium Sangiovese and Cabernet Sauvignon grapes. With more intense fruit and complexity than our varietal Sangiovese wines, Audacity delivers on the cherry flavors of the Sangiovese grape and the complete pallet experience one can only receive from premium ripe Cabernet Sauvignon grapes. Throughout Tuscany, a number of the Chianti producers have decided to make Sangiovese blends with Cabernet Sauvignon, Merlot, or Syrah grapes. These specially blended wines are referred to in the wine business as “Super Tuscan” wines. In producing Super Tuscan wines, Tuscan vintners have been freed of the requirement to blend from 10 to 30 percent of white wine into Sangiovese red wine in order to legally refer to such wine as Chianti. 2008 Frogtown Audacity -described above. Wine Club members enjoy a 20% discount from Retail Price of $25.99. 2006 Frogtown Cabernet Sauvignon -The 2006 Vintage is only the third Frogtown vintage of a varietal Cabernet Sauvignon wine! This bottle of Cabernet reminds me of a premium Bordeaux Medoc wine from the commune of St. Julien; and particularly the 1982 Bordeaux Vintage. Yes, I am old enough to have purchased Bordeaux vintages upon release in quantity from the 1978 vintage until the time Frogtown was founded in 1999. This very supple Frogtown Cabernet wine will increase in intensity as it ages in the bottle. Lovely notes of chocolate, vanilla, and dark cherry fruit complement a wonderful finish. This is a GREAT food wine to enjoy with your favorite steak. Wine Club members enjoy a 20% discount from Retail Price of $29.99. 2006 Frogtown Sangiovese- I could not resist the opportunity to include our current 2006 varietal Sangiovese along with the 2008 Audacity. Not many wineries make Sangiovese wines let alone two wines containing a majority of Sangiovese grapes. We blended approximately 10% of our 2006 Cabernet Sauvignon grapes into this 2006 Sangiovese. This Sangiovese is a light to medium bodied red wine with distinctive cherry flavors with an earthly fruity finish. It is one of the best wines to enjoy with any Salmon dish. Wine club members enjoy a 20% discount from Retail Price of $18.99. Frogtown 2008 Steel Chardonnay – Fermented at 50 Degrees F in stainless steel (never saw the inside of an oak barrel) for three months, this wonderful crisp, acid rich Chardonnay has citrus flavors complementing a green apple nose and finish. This French Chablis-like Chardonnay is remarkably rich and round notwithstanding the absence of oak aging. Frogtown Steel Chardonnay is a special food friendly wine which sells out quickly when available. This is a very good example of why Chardonnay is the “queen of grapes.” Wine Club members enjoy a 20% discount from Retail Price of $19.99. 2008 Frogtown Vineaux Blanc – we have just released this white wine, as our supply of 2006 Vineaux Blanc became exhausted. We have made Vineaux Blanc in every vintage except 2007 when we lost almost 90% of our fruit to a three day freeze occurring one day after Easter 2007. The Seyval and Viognier grapes in this wine were fermented in Stainless Steel and in Oak barrels. This bright crisp white wine is a refreshing combination of pineapple and citrus, with a touch of toast. A small portion of the wine is put trough malolatic fermentation to assist in the smooth long finish for which this wine has become known. Wine Club members enjoy a 20% discount from Retail Price of $14.99. 2008 Frogtown Viognier – we have not yet officially released this vintage of our classic Viognier wine. I would suggest keeping this bottle outside of any wine cellar or stand-alone wine cabinet at standard room temperature for one to two months before you enjoy what is inside this bottle. I just adore Viognier. I am very particular on the growing, fermentation, and clarifying of our Viognier wines. Always made in relatively small amounts, this Viognier is a worthily successor to the wonderful 2004 Viognier (Georgia’s only GOLD medal in a major California competition) and 2006 Viognier. I have coined the phrase that “Viognier is the red wine drinkers white wine” for good reason. In enjoying this wine, you will notice the mouth feel (particularly the viscosity) is similar to a red wine. This complex white wine delivers kiwi fruit, melon, pineapple, and peach flavors and a smooth and long-lasting finish. Wine Club members enjoy a 20% discount from Retail Price of $24.99. Cost of Wines After 20% Discount and Including Shipping and Sales Tax. For red only Citizens the charge for the enclosed wines is $76.17; for our red and white wine Citizens, the charge for the enclosed wines is $77.02; and for white only Citizens, the charge for the enclosed wines is $63.33. Your next shipment will be in February, 2010. Look for, and please purchase, Frogtown wines at restaurants and package stores in Georgia. Commencement of Distribution Partnership with Empire Distributors, Inc. I am delighted to report Frogtown and Thirteenth Colony wines will be distributed in Georgia by Empire. Frogtown is indeed fortunate to have Empire as its distributor. Last Friday, I made our first delivery to Empire. You should be able to purchase Frogtown wines at restaurants and wine stores in Atlanta and throughout Georgia in the very near future. If you’re favorite restaurants or package stores do not offer Frogtown and Thirteenth Colony wines, please request the restaurant or package store contact Empire to purchase our wines. I would greatly appreciate your support by purchasing Frogtown wines in Georgia restaurants and package stores. We also have our new web site in full operation. We encourage you to e-mail Cydney or me at your special email address, [email protected], with your comments to this new web site and any other comments, thoughts, or opinions you may have about our wines or our service. We take your comments seriously and you will receive a reply. The 2009 Vintage is like no other vintage we experienced in our 10 years of growing premium wine grapes in North Georgia. As reported in our Winemaker Notes to our May 30, 2009, shipment, the year started out with lots of rain at bud break, blossom, and fruit set. Within two weeks after fruit set (around the second week of June), I decided to thin the 2009 crop by eliminating, depending on the grape variety, between 30 to 50 percent of the fruit on these vines. The dropping of fruit to the ground by shoot thinning or cluster thinning is not unusual for Frogtown; however, in none our preceding vintages did we drop this quantity of fruit so early in the growing season. In past vintages we waited to drop a material portion of our fruit until verasion (when wine grapes soften and turn from green to purple/blue for red wine grapes and to yellow/chartreuse for white wine grapes). This early crop thinning paid enormous dividends, as the weather changed during June, July, and most of August to mostly sunny days and very moderate temperatures (very few 90 degree days) followed by substantial mid-September rain. Due to this early crop reduction, our later ripening red and white grapes were substantially ripe by the second week of September, prior to the onset of the September rains discussed below. Harvest was just fractionally late (we harvested Sauvignon Blanc, our first ripening grape, the last week of August). We followed with Chardonnay, Seyval, and Viognier. Sangiovese was the first red grape harvested on the 4th and 5th of September. Around the 12th of September, the weather appeared to be changing with lots of rain in the forecast. I decided to accelerate our harvest. Between the 12th and the 14th of September, Frogtown harvested a substantial portion of our red fruit. The weather did in fact materially change making my decision to harvest a good decision. The vineyard received over 16 inches of rain from the 15th to the 21st of September. On September 21st (one day) it rained approximately 4 and ½ inches (almost 10% of the average annual rain fall for our area of North Georgia). Most of the Cabernet Sauvignon, some Merlot, and all of the Norton grapes hung through all of this rain. When the weather cleared botrytis was present, but we were surprised to find virtually no sour rot. Botrytis we can live with, but sour rot is just horrible. A good amount of the post-rain grapes harvested actually were benefited by the extra time on the vine notwithstanding all of the rain. While the Brix levels were down, the post-rain harvested grapes did well in the winery. I employed the French technique of saignée to a greater extent than customary on these grapes with very good results. As of this date all these post-rain harvested grapes appear to be Frogtown quality wines. We do not anticipate allocating a material portion of our 2009 Vintage to our second wine label, Thirteenth Colony. Bottom line, the 2009 vintage gave us the best Sauvignon Blanc, Marsanne, Roussanne, and Sangiovese ever harvested at Frogtown. The 2009 Chardonnay, Viognier, Seyval, and Vidal were what we expect from our vineyard. The Cabernet Sauvignon, Cabernet Franc, Merlot, Tannat, Touriga, Petit Verdot, Malbec, and Norton are deep in color and now appear to be more tannic than our previous vintages. We will need to “manage” this tannin in the Winery as these wines mature. The 2009 Vintage may give Frogtown its longest lived vintage wines. Deceptive Trade Practices in Wine Labeling. In our May 30, 2009 Winemaker Notes accompanying our Second Wine Club Shipment, I made mention of the fact that the Federal Wine Labeling Regulations encourage deceptive trade practices, particularly by East Coast wineries. Specifically, it is my belief, when the U. S. wine industry was initially developing (primarily on the West Coast), California wine growers and wineries wanted to sell either grapes or wine to East Coast wineries, but did not want the East Coast wineries referencing the fact that their wines contained California fruit or wine. In response to industry desires, Federal Regulators adopted labeling rules which allow the blending of up to 25% of the wine from a foreign state into another State’s labeled wines without requiring disclosure that such bending occurred (i.e. 25% of California fruit in a Georgia labeled wine). Ethics and good business practices go beyond just doing “what is legal”; such ethics and good business practices require producers selling to the public to do “what is right.” Most people purchasing a bottle of wine labeled “Georgia” assume such wine is made from 100% Georgia grown wine grapes, without containing wine made from grapes grown in another state. This is particularly true in the wine business, where consumers are encouraged to taste the different “terroir” in the wines of a Country (France as distinguished from Italy) or State (Georgia as distinguished from California). This French term, “terroir” can be defined as a specific group of vineyards from the same region , sharing the same type of soil, weather conditions, and grapes, which contribute to give such region its specific personality to the wine. How does blending fruit or wine from California into Georgia wines enhance the terroir (personality) of Georgia wines? It doesn’t. The wine may be better because of the blending, but if a wine purchaser in Georgia wants a California wine, there are plenty of opportunities for that person to purchase such a wine in Georgia wine shops and restaurants. Why make Georgia wines “non-descriptive” by blending California wine into Georgia wine? In the early spring of this year, Frogtown introduced two Resolutions to the Members of the Winegrowers Association of Georgia (“WAG”). The first Resolution required WAG members to only label their wines as “Georgia” if 100% of the grapes from which the wine was made came from Georgia. The Frogtown sponsored Resolution lost on a vote of 7 against to 3 in favor. After losing this first proposal, we proposed a second Resolution which allowed WAG members to blend California (or another states) grapes into their Georgia labeled wines so long as (i) the 25% limit under Federal law was met and (ii) the fact such blending occurred was disclosed on the label of such wine. Again, we lost on a 7 to 3 vote. For a listing of WAG member wineries, please go to georgiawine.com. Black Stock Vineyards and Stack Vineyards were the only other WAG members supporting our Resolutions. We flat out don’t understand why most of the WAG members (constituting the vast majority of Georgia wineries making wine from vitis vinifera grapes (the internationally recognized premium wine grapes) are against disclosing the truth of what is in their wine to their customers and the Georgia wine-purchasing public. It goes without saying that the blending of an amount as large as 25% of California fruit or wine into Georgia grown wine materially changes this wine to “other than a Georgia product.” No other premium wine growing country (region) in the world would allow this type of terroir-altering process. The public in evaluating such altered wine should know such Georgia labeled product contains wine made from grapes grown outside the State of Georgia! In response to the WAG vote on these Resolutions, I decided to demonstrate to the public, with full disclosure, the difference between a 100% Georgia grown wine product from a wine product containing grapes grown in another appellation. We registered with the United States Trademark Office the terms, “A West Coast East Coast Wine” and “An East Coast West Coast Wine,” and the names “Convergence” and “Compulsion.” Convergence being a West Coast East Coast Wine, by containing more West Coast than East Coast fruit. Compulsion being an East Coast West Coast Wine, by containing more East Coast than West Coast fruit. We were forced to use the descriptors West Coast and East Coast, as the Federal Regulators would not allow us to identify, in any manner, the specific and truthful fact that the wine was made from California and Georgia grown grapes on the Convergence and Compulsion labels. With the sole exception of Convergence and Compulsion, all Frogtown wines and Thirteenth Colony wines contain, and will continue to be made from, 100% Georgia grown fruit. Convergence and Compulsion are not even put in a Georgia labeled wine bottle. You will notice on the back label of the Convergence you are receiving with this shipment, the label states “American Wine.” We could not go against our belief that a Georgia labeled wine should be made from 100% Georgia grown fruit. Up to now, all of the Georgia grown fruit going into a Frogtown or Thirteenth Colony wine has been fruit grown at our vineyards. In the future we may source wine grapes from other Georgia growers, we respect as good growers, for Thirteenth Colony wines. Frogtown labeled wines will always be estate grown at our vineyards. In making Convergence and Compulsion, we hope to prove that it is good business practice to tell the wine purchasing public, to the extent the Federal Regulations and Regulators allow, what grapes (i.e. terroir) is in the bottle right on the label to that bottle. I encourage all of you to know what is in the bottle before you turn over your money to any Georgia winery. You now know the vote and the unwillingness of the majority of WAG member wineries to practice truth-in-labeling at a standard higher than the dubious Federal Regulations require. Frogtown First Convergence -Convergence is composed 2/3 from Cabernet, Merlot and Malbec grapes grown in Sonoma County, California and 1/3 from Cabernet Franc grapes grown at Frogtown Cellars. This West Coast East Coast Wine has big California fruit flavor with a chewy tannin finish. The Frogtown Cabernet Franc fruit gives this bold wine more elegance than the wine would have without such fruit. Our Georgia fruit “tones down” what was otherwise a big in “your face California Cabernet Blend.” This bottle of Convergence won an American Example of Greatness from the Jefferson Cup Invitational Wine Competition (equivalent to a Gold Medal in other major competitions). Frogtown is one of only 300 wineries participating each year in the Jefferson Cup competition, a competition by invitation only. Wine Club members enjoy a 20% discount from Retail Price of $27.99. 2006 Frogtown Cabernet Franc -After more than 30 months in oak, in June of this year, we bottle the following Frogtown labeled wines: 2006 Cabernet Franc, 2006 Cabernet Sauvignon, 2006 Tannat, 2006 Touché, and the 2006 Kritzer Family Reserve Merlot. Due to the amount of Merlot grapes used in this Reserve, there will not be a Propaganda made from 2006 Vintage gapes. The next Propaganda will be made from our 2007 Vintage grapes. This Propaganda will be one of the few wines we will make from the 2007 Vintage due to the fact we lost 85% of our fruit to a freeze occurring the day after Easter 2007. Wow, is my descriptor for the 2006 Cabernet Franc. I almost convinced myself into putting this wine in a Reserve Label. If I were teaching a class about the different wine grape varieties, I would use this wine as an example of a Cabernet Franc made from ripe full-flavored grapes. This wine is wonderfully balanced with a lovely finish. Typical of Cabernet Franc, the wine has a spicy character which does not over-power the wonderful dark blue fruit flavors. This is only the second time we have made a varietal Cabernet Franc (2004 was the first Cabernet Franc bottled varietal). This wine, along with all of the other 2006 Reds, and some 2008 whites will officially be released on November 21, 2009. While the wine could use some additional bottle age, please enjoy this bottle now. We bottled 125 cases of this Cabernet Franc. While not a big production, there should be sufficient quantities of this wine this winter and spring. Wine Club members enjoy a 20% discount from Retail Price of $29.99. 2005 Frogtown Touché – We included a bottle of our 2005 Touché in our first Wine Club Shipment. Since the very first vintage of Touché, this wine is Frogtown’s best wine to price value. In describing this wine to you in February of this year I said: “This vintage of Touché continues the Frogtown tradition of being a major award winning wine in major competitions; as this vintage of Touché has the distinction of being awarded a Gold Medal, Best-in-Class Designation from The Atlantic Seaboard 2008 Competition – the East Coast’s exclusive major competition. As with its prior vintages, this Touché is a unique blend of Cabernet Sauvignon, Merlot, Cabernet Franc, and Tannat grapes. The exciting combination of these grapes offers complex flavors of ripe cherry, red berry and spice with hints of vanilla, tobacco and cocoa.” Wine club members enjoy a 20% discount from Retail Price of $21.99. Frogtown 2006 MRV – we are sending this second bottling of our Marsanne, Roussanne, and Viognier proprietary blend. I like this bottle of MRV even more than our first bottling. If you put a blind fold on and a clothes pin on your nose, by the mouth feel of this wine, you would bet it was a red wine. This confirms my long-standing opinion that the Rhone Valley White wines are the “red wine drinker’s white wines. In addition to the classic Rhone white flavors of apple, pear, hazel nuts and almonds, this wine has lots of “flowers” on the bouquet and pallet with a wonderful creamy balanced texture. This wine is a wonderful example of how a non-citrus flavored wine can be enjoyed as an alternative to the ubiquitous Chardonnay, and, to a lesser extent Sauvignon Blanc and Pinot Grigio wines. Wine Club members enjoy a 20% discount from Retail Price of $24.99. 2006 Inclination can be written by repeating the descriptions we have used for prior vintages of Inclination. We work very hard in putting the Chardonnay, Viognier, and Vidal grapes together as a blend for each of our Vintage Inclinations. The combination is never the same, but the blend always is Inclination. Enjoy this Inclination with its clean, citrus, apple and toasty flavors. Wine Club members enjoy a 20% discount from Retail Price of $18.99. Frogtown 2006 Cachet – we are sending this 100% Vidal dessert wine to you for the first time. We have been out of this wine for over a year. This is our example of an “Ice Wine,” although we cannot label this wine as an Ice Wine due to the Federal Regulations requiring the grapes to be frozen on the vine when picked in order to use the words “Ice Wine” on the label. This will never happen in Georgia. In all honesty, Georgia grown grapes would rot before being frozen; if we indeed had the low temperatures which are necessary to freezing wine grapes. We use a process of “freezing-out” the water in the Vidal grapes in the winery and then ferment this wine at 50 Degrees for over three months. Our Cachet also has a relatively modest 2.8% residual sugar. Stylistically I want the wine to finish like a dry wine without a sweet syrupy after taste. This level of sweetness is just right to enjoy Cachet with semi-sweet chocolate. Unlike other white wines, I recommend that Cachet be chilled down to a very cold temperature before serving (I put a bottle in the freezer for at least ½ hour before serving). For those of you who are receiving this shipment by FedEx instead of pick-up, as you have in the past, I apologize for this inconvenience. Unlike our former software, this new software requires that we enter into the computer your preference of pick-up or shipment AT THE TIME OF INITIALLY PROCESSING THE ORDER, rather than allowing us to wait till you respond to an e-mail confirming your preference of pick-up or shipment. Please call or e-mail Cydney with your pick-up preference for future shipments ( [email protected] or 404-502-9463) and she will make sure you are “in the computer” as required by our new software. For red only and red and white wine Citizens, the charge for the enclosed wines, with your 20% discount and the $12.00 shipping fee, is $80.45. For our red and red and white wine Citizens we are additionally enclosing with this shipment a Frogtown wine tool at no charge, as the $80.45 charge for this shipment exceeds the maximum shipment allowance of $75.00. Enjoy using this tool to open many Frogtown wines! For white only Citizens, the charge for the enclosed wines, with your 20% discount and $12.00 shipping, is $66.75. Your next shipment will be in December. Look for, and please purchase, Frogtown and Thirteenth Colony wines at restaurants and package stores in Georgia.